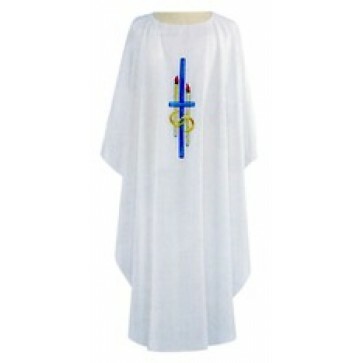 White Chasuble with Marriage Deign in multi colored embroidery on both front and back. 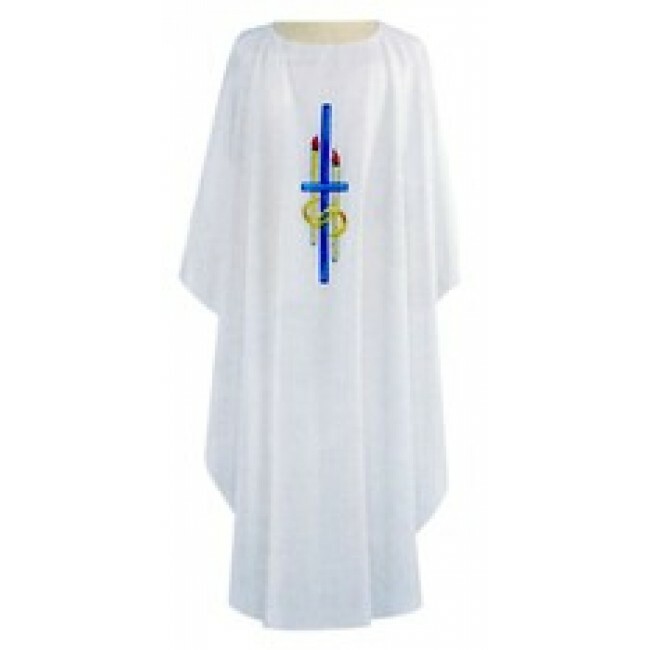 Amply cut vestment measures 60" wide x 52" long. Made of soft, fully machine washable, wrinkle resistant polyester.